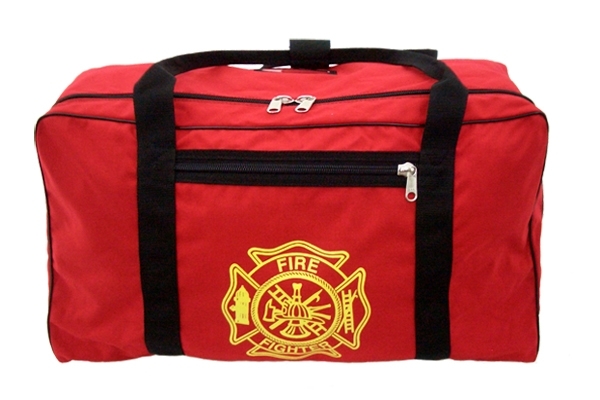 The original "Turn Out Gear Bag" was designed and manufactured by R&B Fabrications. Designed to hold a turnout coat, helmet, boots, and miscellaneous equipment. Outside zipper pocket for extra gloves and small items. Made of heavy Cordura nylon. Uses #10YKK nylon zipper and a 2" web handle to support the load. Measures 13 1/2" X 13" X 24". 4,200 cu. in. Wt. 26 oz. Colors: Red with Malteses Cross.